The HPCC Excel Add-In is a powerful tool that allows you to connect with live HPCC ECL query data, directly from Microsoft Excel. Use Excel to read, write, and update HPCC Systems like LexisNexis. Perfect for mass imports / exports / updates, data cleansing & de-duplication, Excel based data analysis, and more! Powerful BizTalk Adapters that allow you to easily connect BizTalk Server with live HPCC ECL query data through standard orchestrations. Use the HPCC Adapters to synchronize with HPCC Systems like LexisNexis. Perfect for data synchronization, local back-ups, workflow automation, and more! Similar to the BizTalk Adapter for SQL Server but for HPCC systems like LexisNexis. 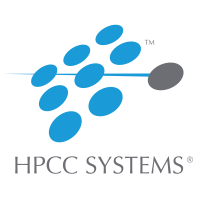 Supports meta-data discovery and schema generation for HPCC entities. A lightweight server-side application that proxies live HPCC / LexisNexis data, making it easily accessible across platforms and devices. Make HPCC / LexisNexis data easily accessible to Apps, BI tools, and other systems.